Arshad’s success is actually down to getting out there armed with ideas, willingness and a talent he has spent time crafting to create his own world from scratch. The 28-year-old describes his lead Badman character as ‘a confused young individual who gets himself into certain situations’, which is another way of saying he’s an ordinary if dim-witted young Asian-Brit whose adventures don’t shy away from controversy. Arshad’s Fringe run is already selling well, which is a measure of just how much his character has caught the public imagination, particularly of young Asians. He’ll be bringing an in-character stand-up performance with him: ‘I couldn’t really do a play or anything; a lot of the people in it are just friends I’ve blackmailed or forced to act in it.’ And there are whispers of a future television show. At the moment, though, he has no plans to step away from YouTube. 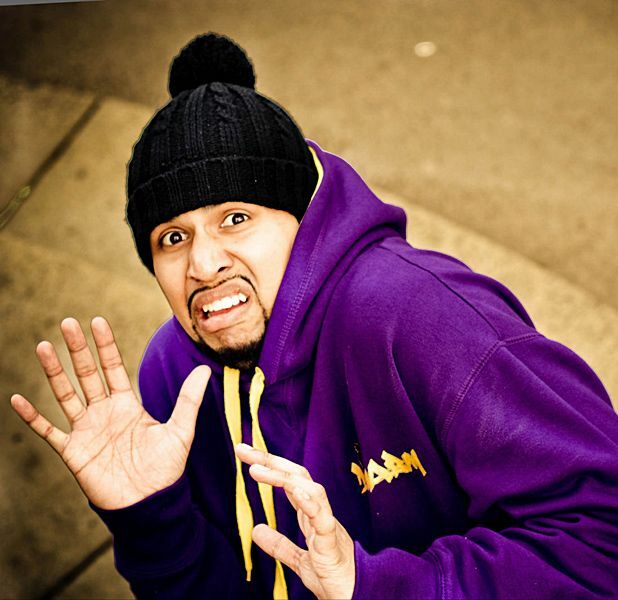 Humza Arshad Presents Diary of a Badman, Gilded Balloon Teviot, 622 6552, 11–25 Aug, 10.45pm, £11–£12 (£10–£11). With 47+ million YouTube views, DOABM is Arshad's hysterical take on what life is like for a young British Pakistani Muslim. The most viewed comedian in the UK, The Diary of a Bad Man star Humza Arshad returns to the stage for the first time since his two sold-out UK tours in 2011. 'A worldwide hit' (Guardian). Ages 14+.